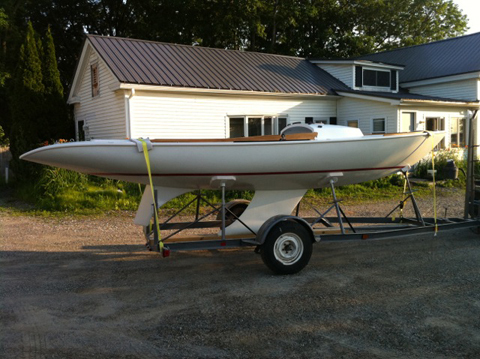 This classic and extremely rare daysailer is a joy to sail and gets compliments everywhere. In 2010 the entire hull, deck, and spars were completely stripped bare, rebuilt, and refinished. Hand-rubbed LPU on the topsides, EPaint 2000 hard white below the waterline, all new teak, new rubrail imported from Italy, and a new solid cockpit sole with new rigid flotation foam below. The deck has all new hardware in a modern layout with every control a sailor could want as well as all new lines including high-tech sheets and halyards. The trailer was rebuilt and has an extendable tongue, removable keel guides, and new screwjacks. 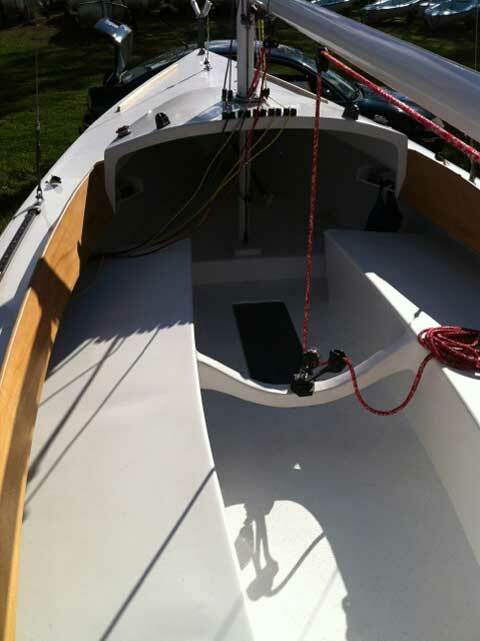 The spars were completely rebuilt and painted, and they include all new hardware, fittings, internal halyards, and an internal outhaul. 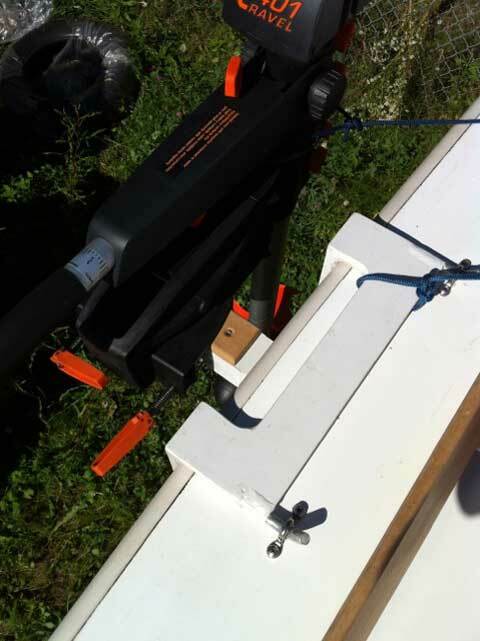 A custom fabricated lightweight aluminum motor mount slides into place (or can be stowed) in literally 3 seconds, and it supports a Torqeedo electric outboard (included with the boat) that is stored in a locking lazarette. 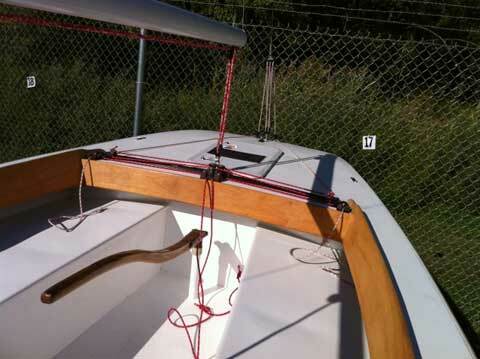 The radial main and genoa were new in June, 2012 and built by Vermont Sailing Partners of hard racing Dacron, and the boat comes with an older spinnaker and other sails. Extremely bright LED nav lights are powered by a lithium ion battery that is constantly trickle charged by a small solar charger on the aft deck. Pulls easily at 70mph behind a VW Passat. Accessories include a lifting bridle, a new full-cockpit sunbrella cover (boom tent style), new fenders, miscellaneous lines, etc. The asking price of $6500 is notably higher than the few other Luders 21s that have become available in the past decade, but there is no comparison. 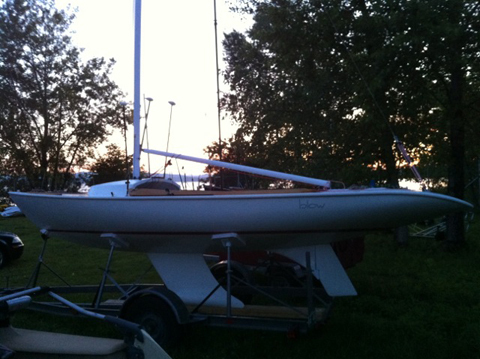 This boat is far superior in condition, equipment, sails, trailer, and so on, and is ready to be used for the next 40 years of its life. A more appropriate comparison would be with Harbor 20s which are usually in the $15k range.